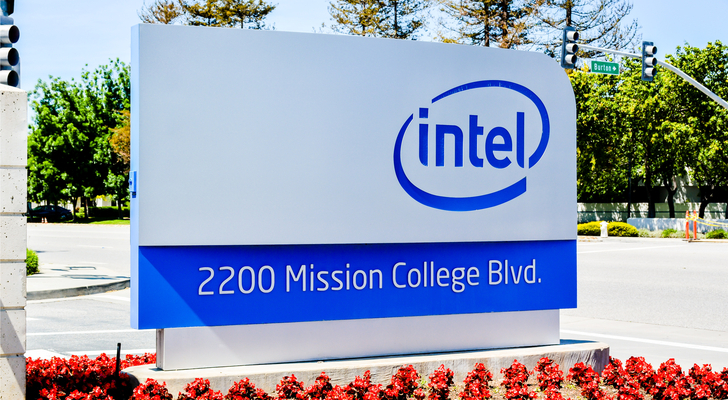 Ever since Advanced Micro Devices, Inc. (NASDAQ:AMD) refreshed its entire line of desktop and mobile chips, Intel Corporation (NASDAQ:INTC) quietly had no real reply. That all changed last month when Intel launched its next-generation everyday computing chip. Dubbed Coffee Lake, Intel increased the number of cores but kept CPU prices at similar levels. Though it is still too early to tell who will come out ahead, chances are good that Intel’s Coffee Lake will keep the chip giant relevant in the PC market. CPUs having more than four cores are nothing new, but what changed is the mainstream pricing. Intel started cutting prices of the Core i7-5820K Haswell-E 6-Core 3.3 GHz after AMD refreshed its chips last year. When AMD’s CPU offered more cores at lower prices, Intel’s response to it was strong. With the Core i7-8700K Coffee Lake release, Intel now has a chip that offers better per-core performance than Ryzen. Its clock speeds are up to 30% higher. But Intel’s decision to force consumers planning upgrades to get a new motherboard so that it is compatible with Coffee Lake may hurt sales. AMD already has Ryzen 2 on its product road map. These refreshed chips will work on existing AM4 motherboards, easing the cost and headache involved in the upgrade process. As coverage for Intel’s Coffee Lake picked up, consumers may have waited for reviews before deciding on which chip supplier to go with. Strong performance results for Coffee Lake clearly helped Intel win back sales. Yet, it is too early to declare any winner in the near term. Intel will charge as much as it can for the CPUs, while AMD may slash prices to drive sales higher. For example, at the high end, Intel’s Core i9-7980XE will cost $1,999. AMD’s Threadripper 1950X is priced at half that at $949.99. Intel already earned an average of five stars from the nearly 125 reviews on Newegg for the i7-8700K chip. But the chip’s availability held sales back late last year. In that time, consumers could have bought an AMD Ryzen 1700X, getting 8-cores and 16 threads. This configuration favors heavily threaded workloads. Gamers who waited for the i7-8700K will be glad they did so. The Intel solution has fewer threads (12) but has a maximum turbo frequency of 4.7 GHz. Still, for now, the gaming world will need to accept that Coffee Lake chips cost more than MSRP due to limited availability. AMD’s Ryzen and Threadripper chips are available at 7-28% below launch prices. Per finbox.io, the average price target on Intel stock is $47.07. Bullish investors may want to use the How to Use 5Y DCF EBITDA Exit Model to calculate a fair value for the stock. Assuming Intel grows revenue by between 3-5% each year for the next five years, Intel stock may have at least 20% more upside. A continued shortage in Intel’s mainstream Coffee Lake chip could hamper revenue growth. This would lead to Intel losing market share to AMD as consumers decide not to wait. Consumers may also decide that the higher prices, along with the need for a bigger budget for upgrading to Intel, is not worth it. Intel stock is trading at close to yearly highs, but a pullback is unlikely as the PC refresh cycle continues. At a modest P/E of 16 times and a forward P/E of 14 times, investors get to collect a dividend yielding 2.4% while waiting for the stock to appreciate this year. Disclosure: Author owns shares of AMD. Article printed from InvestorPlace Media, https://investorplace.com/2018/01/why-coffee-lake-matters-for-intel-stock/.